Pomfret – 2 in Nos. Apply lemon juice, salt and turmeric to pomfret and keep it aside for 45 mins. Now wash it properly and pat dry. Now mix all the ingredients of marination (point no.1 to point no. 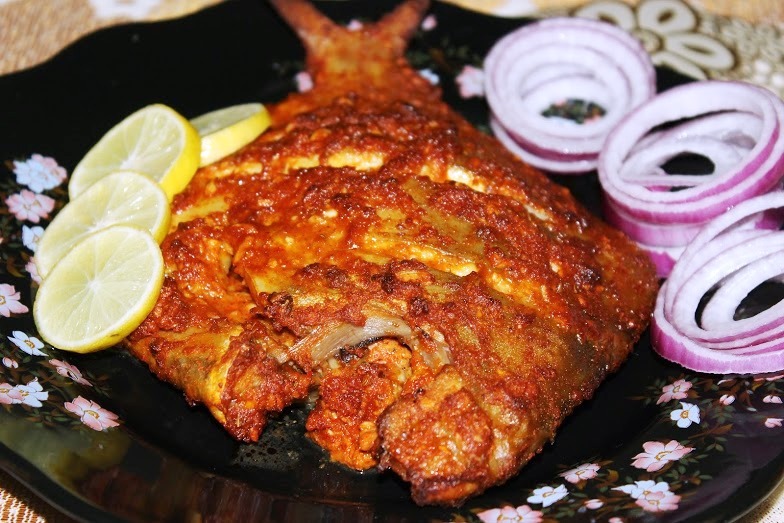 10) and apply it to the pomfret and let it marinate for an hour. Now pre heat Philips air fryer at 200 degrees for 5 minutes . Put marinated pomfret in air fryer and cook for 10-12 minutes on 180 degress or until done. Check in between. Serve hot with Mint Chutney and onion Lachhas.